You see I have been wanting to do a study of the colors in the Bible. So, beginning April 6 (Lord willing), I am going to point out various colors in the Bible. Have you ever thought about the colors mentioned in the Bible? I have. And I want to share with you scriptures that mention colors. I am not a Bible scholar nor am I an expert on the subject, but I am interested in seeing what the Bible says about colors. Do you know any verses in the Bible that mention color? Please let me know the verse by leaving it in the comment section. 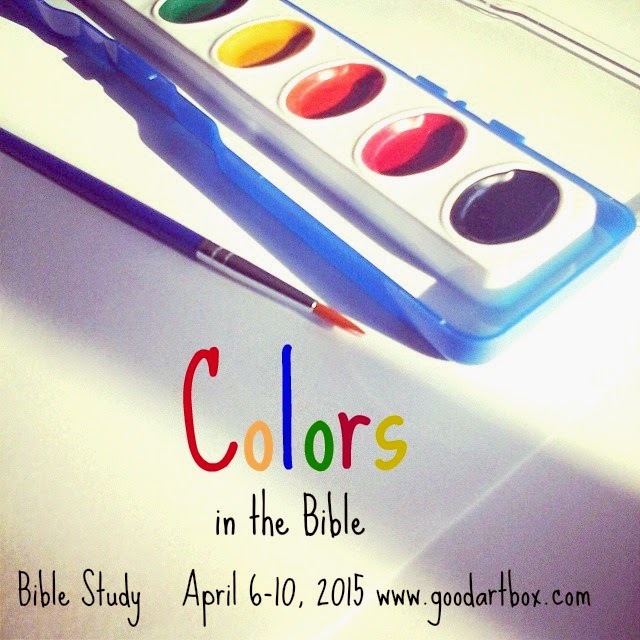 Please join me for 5 days of "Colors in the Bible"! Psalm 52:8 But I am like a green olive tree in the house of God: I trust in the mercy of God for ever and ever.